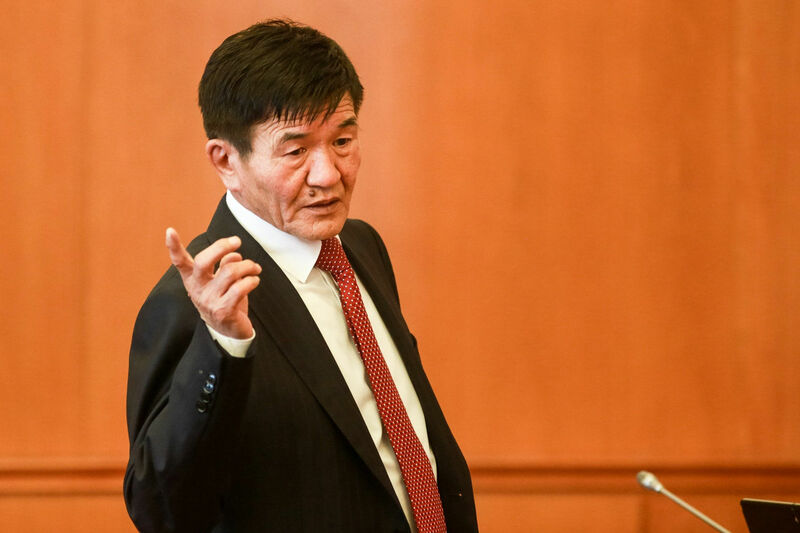 We have undergone ups and downs due to absence of systematic understanding and established concept and policy on state asset and its management since the approval of a new Constitution of Mongolia and privatization of state assets. We still continue to experience and learn and face new challenges. Yet I just would like to bring up development issues of a for-profit state-owned enterprise (SOE) which has the role to turn state assets and minerals into economic circulation under the Constitution and other laws of Mongolia and create value for the society, looking to the future rather than talking about the past. There are quite many large SOEs which show approaches to boosting state assets commercially for the good of the public and whose operations are internationally recognized. Alternatively, these companies are called Sovereign Wealth Funds. Unless you accurately determine future development issues of such companies you can’t go ahead looking to the future as it is now. Now, I would like to expose some data concerning some SOEs from developed countries which are making a success in this respect. Temasek Holdings (Temasek) is a SOE – a key engine for the economy and development of Singapore. It was formed in 1974 to merge and manage state assets (SOEs, shares, movable property, and real estate). Temasek has 10 international offices and controls assets of S$275 billion in Singapore and other Asian countries. As of the first quarter of 2017 its net profit was S$17.7 billion and the income reached S$97.0 billion. Its subsidiaries operate in extensive industrial areas such as financial service, communications, media, technology, manufacturing, science, real estate, energy, and natural resource use. Today, Temasek has become a major world-class investor which prefers acting on stock markets after declining direct management of production and service business. It is clear that many factors have affected their achievements. As they define twin principles – sustainability and good governance are a basis for success and the sense of this philosophy is still of value. Temasek focuses on investment, which creates long-term value, and doesn’t change its business orientation and investment policy often beyond sustainability and none other than Temasek is entitled to dispose of, mobilize, and draw return from any investment. What makes it different is that this principle is guaranteed by the Constitution. Both the President and Prime Minister of Singapore aren’t involved in their investment and business decision-making except protection of minerals. They exercise trading power and independent management under Board of Directors guidance. When there is a need to draw or use part of the reserves, only the President gives permission. Such an environment for independent business for SOEs is missing in any country. Another company which is making a success though it was formed pretty late is Khazanah Nacional, Malaysia. Khazanah Nacional is a SOE in Malaysia, which was formed in 1993 as a closed holding company, and invests into industries such finance, communications, media, IT, agriculture, and air transportation in Malaysia and South East Asian region. Like Singapore it was formed by merging all the state-owned assets in Malaysia. The commitment to creating sustainable value for a globally competitive Malaysia provides a basis for its investment policy. Khazanah Nacional has the shareholding in major assets such as Axiata, CIMB, Tenaga Nasional, IHH Healthcare, UEM Group, Telekom Malaysia, Malaysia Airlines, and Malaysia Airports. Khazanah Nacional had net profit of RM 1.56 billion ($370,106,802) and distributed dividends of RM 650 million ($154,211,167) for the Government of Malaysia last year. The assets of the company were valued at RM 101.9 billion ($23,962,042,950) as of December 31, 2016. Khazanah Nacional is internationally valued as a company which has introduced the Santiago Principles in terms of corporate governance. For example, its Board consists of nine Directors. The Board is represented by only three state officials – the Prime Minister of Malaysia and Minister of Finance, Chairman of the Board, and Deputy Minister of Finance and Secretary General of Treasury as Directors. The other six Directors are represented by businesses. It ensures that more business representation is involved in investment decision-making. The next example which is worth referring to is Samruk-Kazyna, Khazakstan, which made a transition to a market system with us. Samruk-Kazyna was formed in 2008 pursuant to a decree of the President of Kazakhstan to boost the national wealth of Kazakhstan by increasing long-term value of the state assets and managing such assets effectively. Samruk-Kazyna is committed to national economic development, investment, and effective SOE management apart from sustainable development. Today, it has the shareholding in over 500 companies, 327,000 employees, and assets of US$67.4 billion and its total annual profit reaches US$1.4 billion. It has generated taxes and fees of US$3.07 billion for the national budget and distributed dividends of US$171 million. According to the 2017-2021 Development Program Samruk-Kazyna’s assets is expected to be valued at US$81 billion in 2021. It has made investment of US$229 million into emerging and growing companies in 2017. A stable legal framework and independent operation under law are a basis for success. A separate law enacted for Samruk-Kazyna provides a guarantee for its financial and governance stability and independence. Moreover, many companies such as the Pension Fund of Norway, Statoil which makes up most of the former’s income, and RosTechnology, Russian Federation. Though the countries, which formed these companies, differ in light of government system, culture, and economic and development levels they have some important similarities. No direct involvement in operations and so forth. The Constitution of Mongolia was enacted to ensure that minerals were vested in the people. The Minerals Law, which was approved in 2006, provided legal regulation of strategic mineral assets, and as a result, the Human Development Fund Law was enacted in 2009 and it created a legal framework, which will help turn major mineral assets into economic circulation, and distribute its income and profit to the people – asset owners on an equitable basis. Over 80 state-owned and partially state-owned companies operate in Mongolia. These companies had been managed by a not-for-profit state administrative authority or a government agency. Since the state wasn’t allowed to run business itself or through its administrative authorities it was decided to allow a for-profit commercial company to exercise this role on behalf of the state in 2007. Therefore, Erdenes MGL – a SOE which will merge and own the state shares in the companies – mineral licensees and run for-profit commercial business, was formed in 2007. It is common to assess any historical development on a ten-year basis in both the West and East. In this context I would like to talk about the reality experienced by Erdenes Mongol in the past with some facts at the time when its tenth anniversary is taking place. Whereas Erdenes Mongol was formed in 2007 and had 5 employees, today, the group operates with over 3,000 employees and over 10 subsidiaries and affiliates (excluding Oyu Tolgoi LLC (Oyu Tolgoi). As of 2016 the company had generated taxes and fees of MNT 1.7 trillion for the national budget and upfront payments of over MNT 420 billion for the Human Development Fund respectively. As of the first quarter 2017 the group had income of MNT 846.3 billion (excluding Oyu Tolgoi LLC) which accounted for 11.4% of DGP (comparable rate 2010) in Mongolia. Moreover, Erdenes Mongol makes up 20% of mining income in the industrial sector. As the prices of mine production are relatively stable this year Erdenes Mongol is expected to have profit after tax of some MNT 400 billion at the end of the year. It is encouraging to see the company growing and expanding in both content and form. However, we need to learn from others’ best practices and work harder to see more positive and brighter development of Erdenes Mongol. There are still many issues which need to be addressed at the state policymaking level. 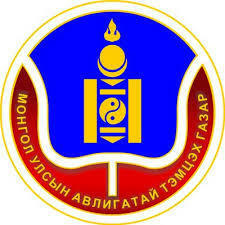 Erdenes Mongol is the company of the people of Mongolia. Whatever progress, development, and value the company makes and creates it should be of tangible benefit to the people of Mongolia. The Parliament (State Great Hural) and Government made a decision to transfer 1,072 shares of Erdenes Tavan Tolgoi JSC (Erdenes TT) and one preference share of Erdenes Mongol to every citizen which means that infrastructure to distribute dividends and shares has been in place. Now, it is important to support these companies in operating effectively. As I see state support is provision of a legal guarantee for independence of operation and policy support and ramp up of competitiveness. Conversely, it is important that in addition to learning from similar international companies Erdenes Mongol examine the stages of their historical development in detail and seek a right approach to addressing pressing issues facing us based on such analysis. First of all, we should create a management structure and optimum financing model which will help increase the existing SOEs’ income and profit. It will ensure that SEOs’ operations become more efficient and generate tangible funds for the Sovereign Wealth Fund. If Erdenes Mongol can pursue a strategy to expand and develop business in the infrastructure, energy, and downstream processing industries apart from mine production it has enough potential to be close to the standards of the companies I referred to above as examples in five years at the earliest and in a decade at the latest. At that time it would be odd to imagine that Erdenes Mongol operates in the mining industry exclusively and actually, it should be an investment company which invests into more profitable business. If it became a reality each single preference share of Erdenes Mongol would bring more return and higher value and the underground wealth will turn into on-the-ground wealth. We should develop looking ahead for this end only.